Point your IPTV source to the SnapStream Cloud to start recording and watching live TV. Open SnapStream in a Web browser to monitor TV, from anywhere in the world. SnapStream Cloud is a new SnapStream, with a low monthly fee and no contract. So it's easy to install. By recording your local TV signal over IP, SnapStream is Internet accessible from anywhere. 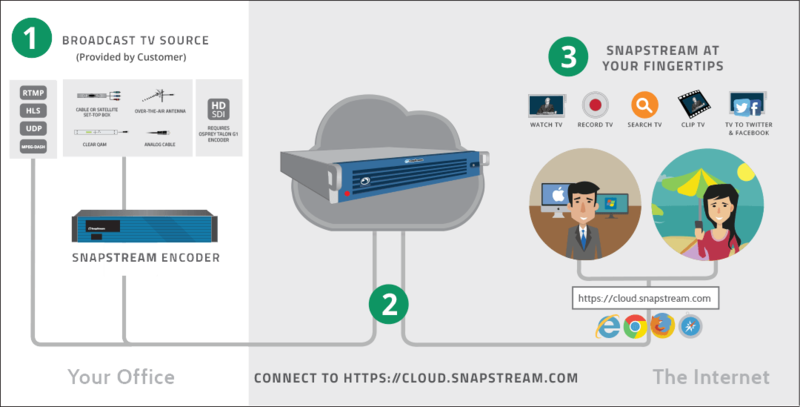 * SnapStream Cloud supports 3rd party H.264 IP encoders. 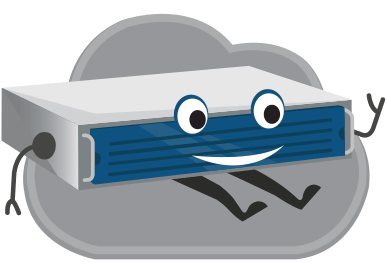 If you already have an encoder, there is no up-front cost to get started with SnapStream Cloud.